PGT A - Embryo aneuploidy and IVF: To test or not to test? Embryo aneuploidy and IVF: To test or not to test? After more than 20 years of study and debate, the controversies surrounding aneuploidy testing in embryos continues. At the heart of a recent exchange of opinion is the effect of mosaicism on results. The value of preimplantation genetic testing for aneuploidy (PGT-A) has long divided experts. 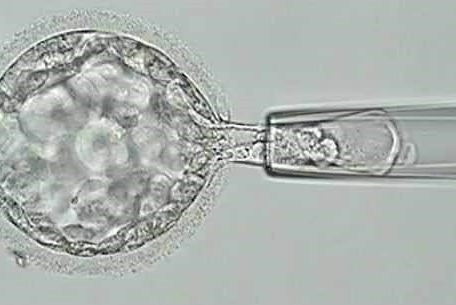 Some argue that it improves the efficiency of single embryo transfer (SET), others that clinics might discard healthy embryos because of false-positive results. Most, however, seem now agreed that PGT-A cannot improve the likelihood of live birth in IVF. Yet the controversy rumbles on. First used in 1990, PGS - as it was then termed - was regarded as a revolutionary tool in IVF. The hope was it would reduce the risk of pregnancies resulting from aneuploidy (rightly regarded as the most common trigger for miscarriage), IVF failure and pregnancies not reaching full term. To present a balanced debate on PGT-A, Fertility and Sterility recently invited leading proponents and opponents to outline their arguments. (3) Their focus was on cost-effectiveness as well as the risks and clinical benefits of PGT-A, with commentators including Alan Handyside, the pioneer of PGD more than 20 years ago. Views expressed by those in favour of PGT-A included its potential to enhance embryo cryopreservation and the lack of evidence that invasive biopsy adversely affects reproductive potential. Experts against suggested that PGT-A can result in clinics discarding viable embryos and that the technology must be at least minimally invasive before it can become routine. Here we summarise some of these viewpoints from both a clinical and laboratory perspective. It is time to rethink embryo transfer ‘based solely on morphological criteria’ suggests Summers, especially given the ‘staggering’ level of miscarriage and conception failure among women aged 40 to 45 having IVF. With morphology alone the criteria for embryo transfer or cryopreservation, Summers says it's likely that clinics are ‘routinely discarding some normal embryos’. There are, he concedes, challenges with PGT-A in mosaicism and segmental aneuploidies; one solution is not simply to discard embryos based on testing but to shift ‘the rank order of embryos for transfer’ after noting the pattern of early embryo cleavage and blastocyst morphology. PGT-A screening represents the ‘logical limit’ in the shift towards earlier antepartum screening, says Scott. Concerns about invasive biopsy have been addressed by a study that found no adverse impact on reproductive potential when performed at the blastocyst stage, and enhanced implantation rates have been demonstrated by numerous trials and meta-analyses in different clinical settings. The issue over accuracy of PGT-A analysis is explored in a non-selection study that showed a 96% predictive value for aneuploid results. False-positive results potentially limit the accuracy of PGT-A and can result in clinics discarding embryos unnecessarily, according to Paulson. The one clinical trial to date that has addressed false-positives found a rate of around 10%, which would result in the equivalent of 6.8% of viable embryos being discarded. Paulson also challenges the study cited by Scott into the effect of invasive biopsy, claiming its scope was limited - for example, blastocyst quality was excellent. Clinical outcome data too suggest that embryo manipulation resulting from biopsies does lead to loss of live births. PGT-A efficiency could be increased, he acknowledges, with increased accuracy of genetic analysis and improvements in embryo biopsy techniques. There is ‘some way to go’, says Handyside, before PGT-A should be standard practice. Identifying euploid and aneuploid embryos ‘accurately without compromising their treatment’ is a challenge, with evidence that embryos, identified initially as abnormal or mosaic, may result in live births. By discarding viable embryos because of false positives or mosaicism, clinics could be compromising treatment for some patients, for example, women in their 40s and cancer patients with limited oocytes. He continues that 'ideally, for routine application, PGT-A should be non or minimally invasive, accurate, straightforward to interpret, and low cost’. 1. Mastenbroek S, Twisk M, van Echten-Arends J, et al. In vitro fertilization with preimplantation genetic screening. N Engl J Med 2007; 357: 9-17. 2. Verpoest W, Staessen C, Bossuyt P, et al. Preimplantation genetic testing for aneuploidy by microarray analysis of polar bodies in advanced maternal age: a randomized clinical trial. Hum Reprod 2018; doi:10.1093/humrep/dey262. 3. Rosenwaks Z, Handyside AH, Fiorentino F, et al. The pros and cons of preimplantation genetic testing for aneuploidy: clinical and laboratory perspectives. Fertil Steril 2018; 110: 351-361.